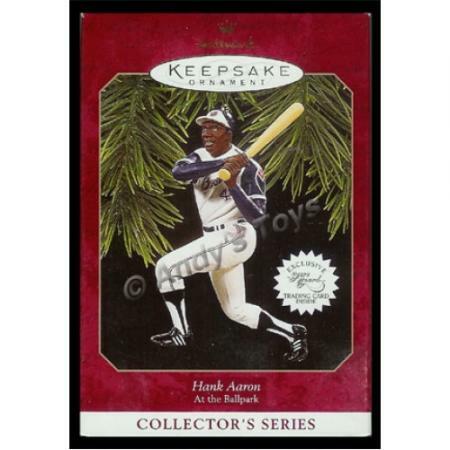 This Hallmark Keepsake ornament is second of a series that recalls the achievements of modern-day baseball legends. An outstanding all-around player, Henry "Hank" Aaron set more hitting records than any other player in history and surpassed Babe Ruth's home run record (Aaron 755, Ruth 715). Retiring in 1976 after 23 seasons, Aaron continued to have a significant influence on the game as the Brave's director of player development. Artist: Dill Rhodus.